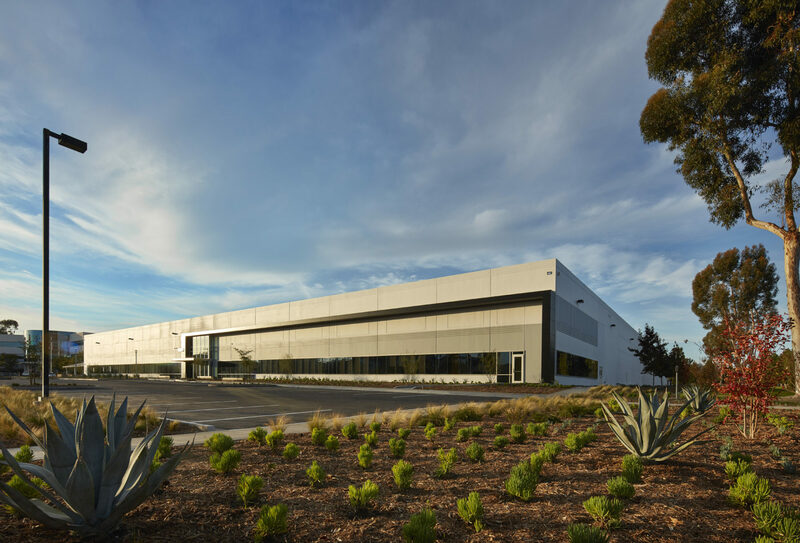 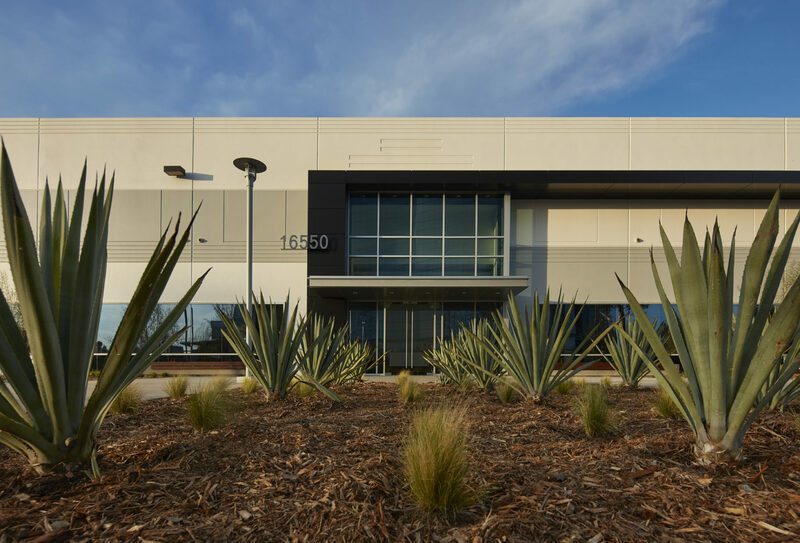 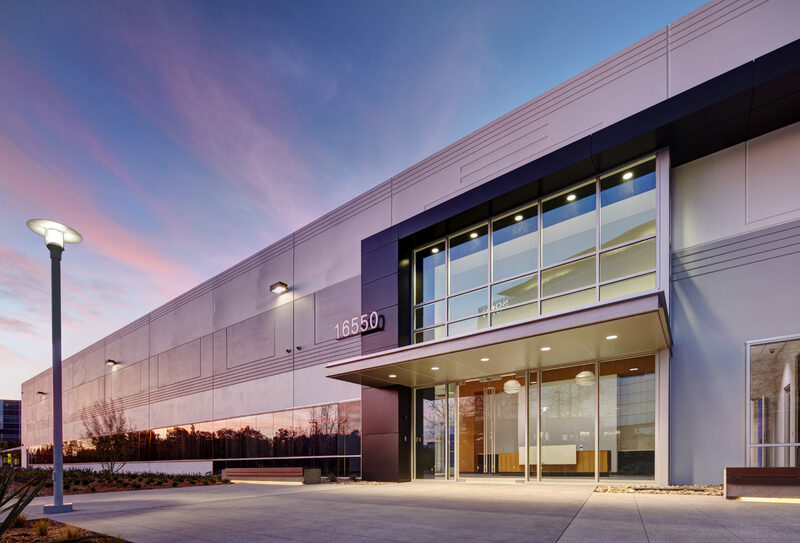 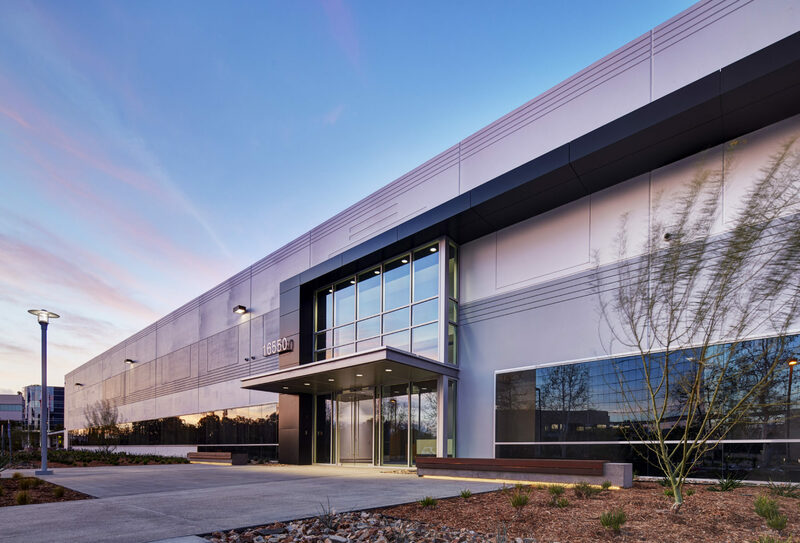 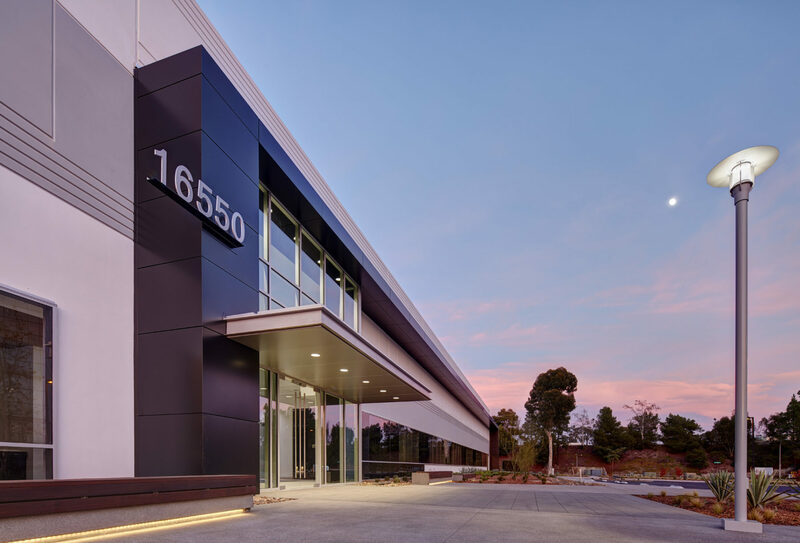 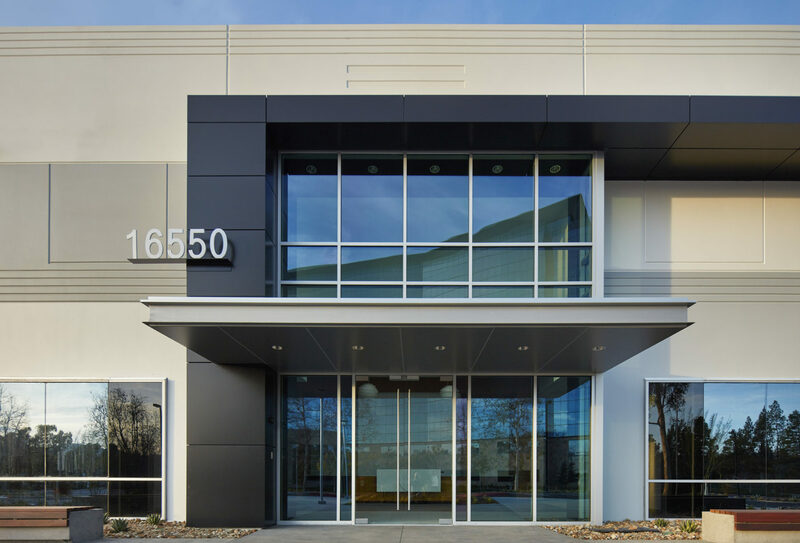 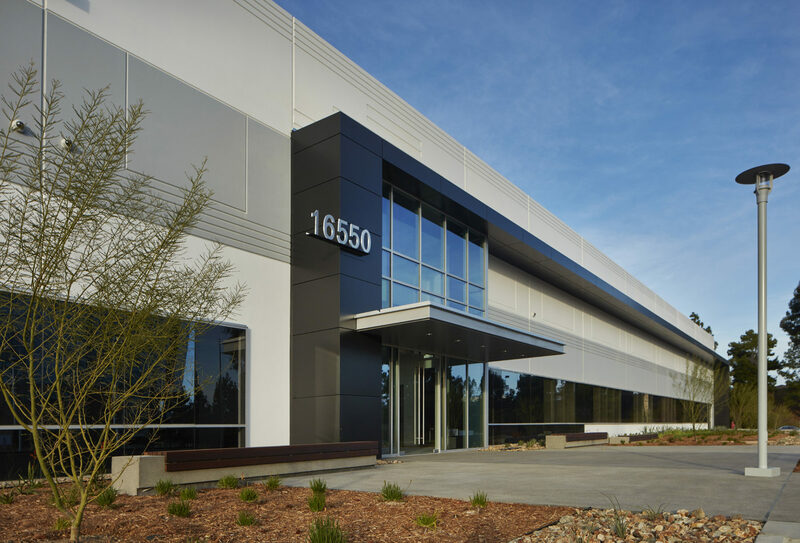 The Via Esprillo project consisted of the complete exterior renovation of a 165,600 Square Foot flex industrial/R&D/Office building situated on 6 acres. 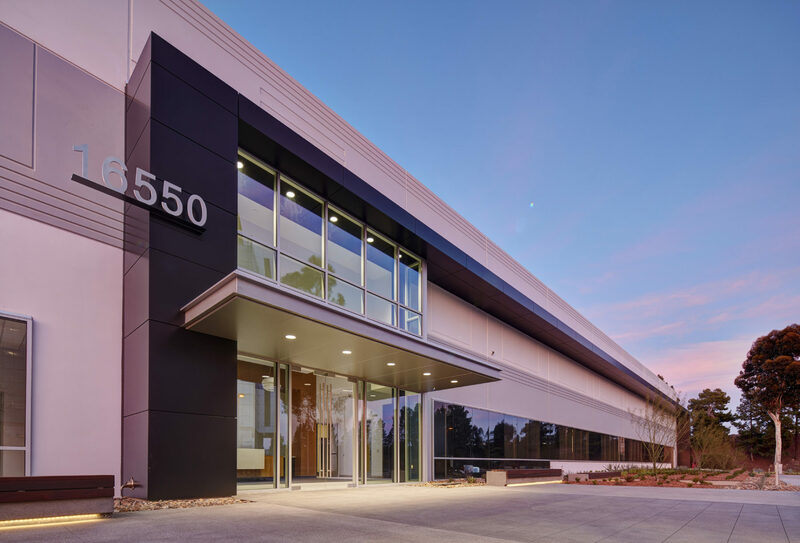 The scope of work included demolition of the main building entry, expanding the opening and installation of structural steel components to support the new opening. 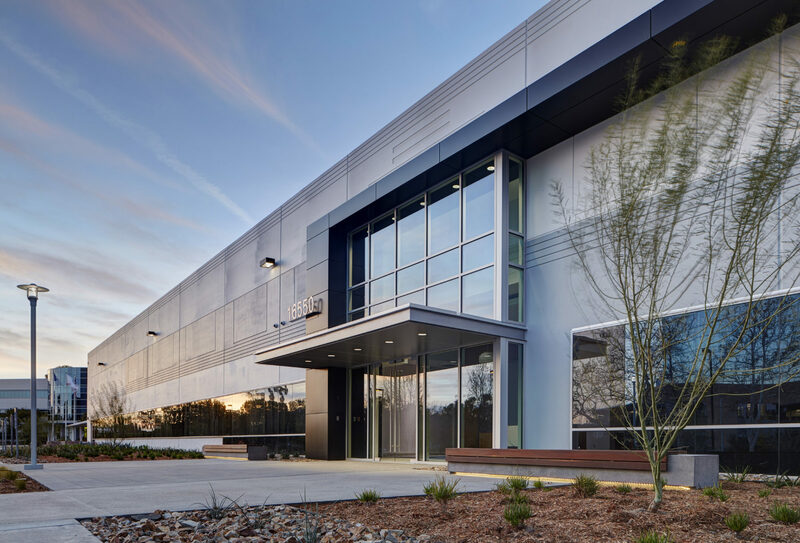 A new expanded entry was constructed and included a steel and glass “jewel box” main entrance and building eyebrow feature. 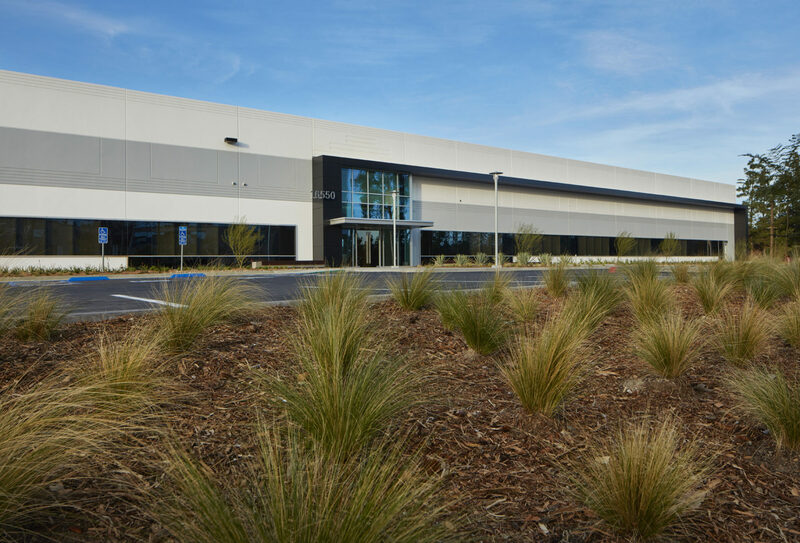 In addition, existing landscape and hardscape were removed and new installed throughout.